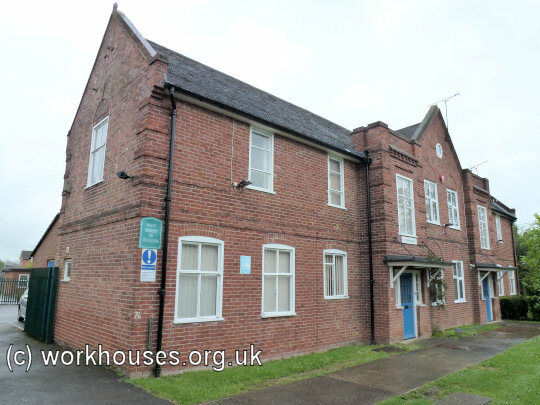 A parish workhouse once operated at Binfield, off Rose Hill. Its location, as the "old workhouse", is shown on the 1881 map below. Binfield former parish workhouse site, 1881. Former Binfield parish workhouse, 2014. 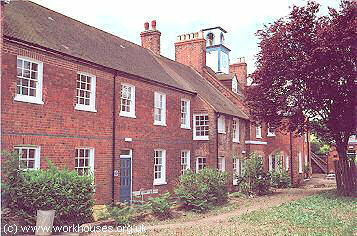 What later became the Easthampstead Union workhouse incorporated a group of almshouses dating from 1826 at the south of St Mary Magdalen and St Michael's church in Easthampstead. These almshouses were Built in the name of William Watts Esq. of South Hill as also three hundred pounds were given by him to the parish of Easthampstead for ever in consideration of the land which he enclosed, with the consent of the Lord of the Manor, a Freeholder of the said parish in the year one thousand seven hundred and sixty. 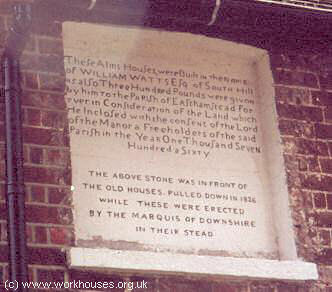 The above stone was in front of the old houses pulled down in 1826 while these were erected by the Marquis of Downshire in their stead. A local story has it that the clock-tower on top of the houses was donated by a local dignitary. He had originally planned to make the donation to the church of St Mary Magdalene and St Michael which stands opposite. He apparently changed his mind after the local clergy refused to trim a overhanging tree in the churchyard which regularly knocked off his hat! In the 1770s, Winkfield had a parish workhouse able to accommodate up to 40 inmates. Berkshire: Binfield (2), Easthampstead (2), Sandhurst (2), Warfield (2), Winkfield with Ascot (2). The population falling within the union at the 1831 census had been 6,980 — ranging from Easthampstead (population 647, and unusual in being the smallest parish in a Union bearing its name) to Binfield (2,145). The average annual poor-rate expenditure for the period 1832-35 had been £2,700. The Poor Law Commissioners authorized an expenditure of £400 for adapting the buildings for use as a workhouse. The main addition appears to have been a three-storey block, now demolished, at the rear of the main row of houses. 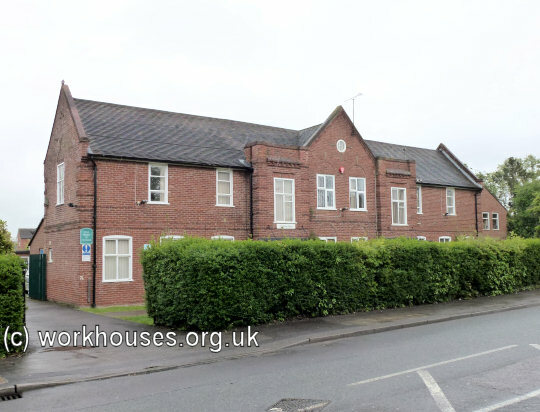 The building's layout at this stage appears to have resembled the cruciform layout popular for newly built workhouses in the 1830s. Easthampstead site from the south-east, 2000. Later additions to the site include an infirmary in 1869, and a board-room block in 1901. Both of these were located to the north-east of the workhouse. Easthampstead from the south-west, c.1912. In 1928, James Wilder, 61, an inmate of the institution for more than six years, made a series of charges against the workhouse officials. He asserted that while he was in the infirmary, he had had to wear the same underclothing for six weeks without a change, that there was a shortage of soap, that no night nurse had been on duty since Christmas, and that the master had not carried out the regulations. A committee of inquiry was set up and found that the charges were without foundation. As a result of his actions, Wilder was placed om bread and water for week, received no tobacco allowance for six months, and could take no leave for twelve months. 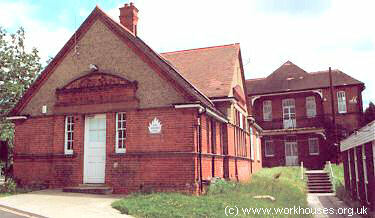 In 1930, the workhouse was taken over by Berkshire County Council and became a Public Assistance Institution. It joined the National Health Service in 1948 as Church Hill Hospital. Although part of the site continues to operate as Church Hill House Hospital, the old almshouses and adjacent buildings have been refurbished and redeveloped as private residential accommodation. 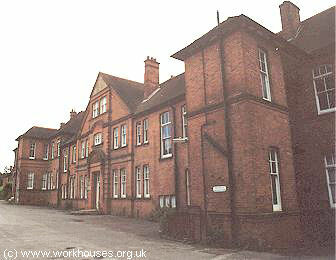 In the early 1900s, the Easthampstead Union operated a cottage home for pauper children at Wokingham Road, Bracknell. In around 1925, the home moved to new premises at 76 Binfield Road, Bracknell. The Binfield Road site later became the St Anthony's Boys' Home / Hostel. 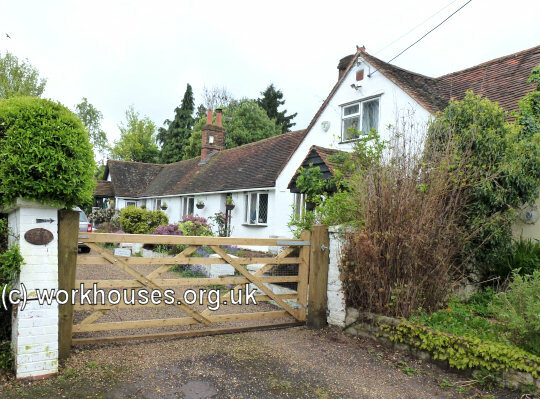 Former Easthampstead Cottage Home, 2014. Berkshire Record Office, Berkshire Record Office, 9 Coley Avenue, Reading, Berks RG1 6AF. Holdings include Guardians' minute books (1870-75, 1880-1930); Births (1849-1914); Deaths (1848-1914); etc.